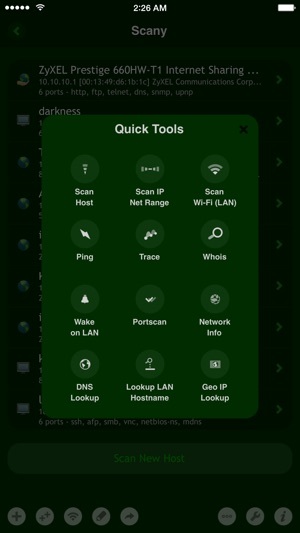 Scany is the Swiss army knife of apps for home, office, corporate LAN and Wi-Fi hotspot owners, network administrators, security specialists, developers and everyone who needs to diagnose and resolve network issues and easily do everyday network tasks. 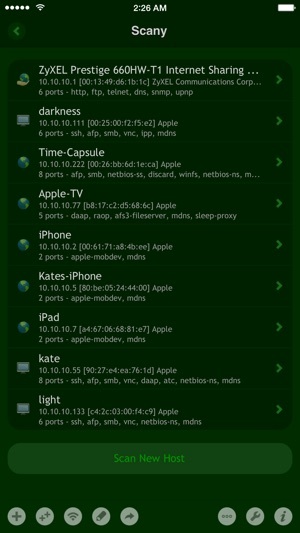 Scany finds computers and devices connected to a LAN or Wi-Fi shows their names, addresses and manufacturers, and includes a wide set of network analysis tools, specially crafted to transcend existing analogs, including ping, trace, WHOIS, DNS lookup, port scanner and many more. 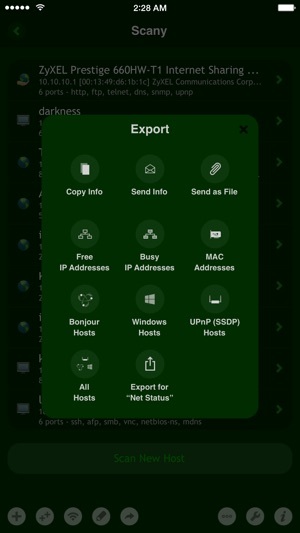 Built from the ground up for mobile by an experienced network administrator, Scany outmatches other apps in many respects. This app is really good but it bug me that it only support portrait view. Please provide landscape view. Also, this app uses smaller than average fonts compare to other apps and it’s really hard to read. Please consider using bigger fonts. Those are the reason for the missing 5th star. Other than that, the app rocks! Thanks! Planned it already. Thank you for your patience! 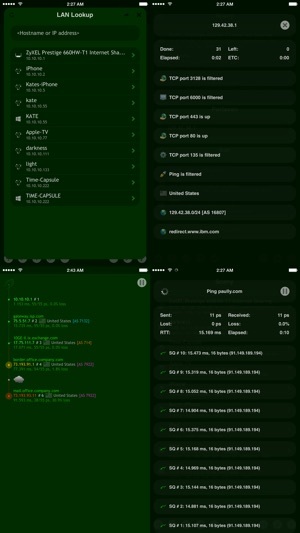 It's a great app specially since it lets you add MAC addresses for WOL in IOS 11.x. It needs to provide option to use a lighter background since the dark background is hard to read. Also bigger fonts for easier reading and finally a way to edit Host names etc to put more meaningful info on each host scanned.